Let’s begin with an imaginary scenario. Alex instructs Bianca to hold £100 on trust for his benefit. Bianca may release that money to Callum if, and only if, certain circumstances obtain. Unfortunately, Bianca releases the money before those circumstances are present. If Alex sues Bianca for her breach of trust, should Bianca be ordered to restore Alex’s £100? Traditionally the answer would have been a resounding ‘yes’. Today, although the answer remains affirmative, it is a little more complex. This article will begin by explaining the traditional ‘accounting’ remedy for breach of trust. We’ll see how that remedy slowly became known as ‘equitable compensation’. This article will conclude by suggesting that this linguistic development is unfortunate because it threatens to distort the characteristically restorative nature of the remedy for breach of trust. For at least three centuries, courts would order an ‘accounting’ remedy for breaches of trust. Although we need only focus on the first, it’s worth recognising that there were three types of ‘accounting’ remedy; (i) an account of administration in common form, (ii) an account on the basis of wilful default and (iii) an account of profits. If Bianca wrongfully released Alex’s £100, the court would order an ‘account of administration in common form’; disallowing Bianca’s unauthorised disposal and requiring her to restore the £100. If the trust fund was still in existence, Bianca would’ve had to restore money back into that fund. If the trust fund was no longer subsisting, she’d have to pay Alex directly. In short, when a trustee breached their duties, they’d immediately incur an obligation to reconstitute any assets that they wrongfully released from the trust fund. When I speak of the ‘restorative’ nature of the remedy for breach of trust, that is what I am referring to — the strict obligation imposed upon a trustee to restore any assets that were wrongfully paid away. In the twentieth century, lawyers began speaking of ‘equitable compensation’ for breaches of trust instead of using the traditional ‘accounting’ language. Importantly, nobody suggested changing the legal principles that underlay the accounting remedy. This was a linguistic modernisation, nothing more. However, this is a dangerous development because ‘compensation’ is a loaded word. While ‘compensation’ may accurately describe the remedy in contract and in tort, it is out of place in equity. Two points will be made in the remainder of this article. First, we’ll discuss why ‘compensation’ appropriately describes a remedy for breach of contract, but is misleading when applied to the remedy for breach of trust (the discussion applies equally to tort, but we’ll focus on the contractual remedy to keep things simple). Second, we’ll see that the language of ‘compensation’ erroneously implies that principles like remoteness and causation can relieve a trustee of the obligation to remedy their breach of trust. In contract, there are primary and secondary duties. A party’s primary duty is to perform their contractual obligations. If they fail to perform, the primary duty disappears and the party is relieved from further performance. Upon such failure, a secondary duty will usually arise. Under this secondary duty, the party must pay reparation — or ‘damages’ — for failing in their primary duty. Let’s imagine that Daisy hires a boat from Elijah. Elijah’s primary duty might be to provide a boat that is in ‘good working order’. If Elijah’s boat has a hole in the bottom and Daisy sinks while out at sea, the contract of hire will come to an end. Elijah will then probably incur a secondary duty to pay damages for his failure to provide a boat that is in ‘good working order’. In equity, there is no secondary duty. A trustee’s primary duty is to deal with trust assets in a manner defined by the trust instrument. Upon failure to do this, the primary duty does not disappear or make way for a secondary duty. The persisting primary duty is ‘enforced’ when the trustee is ordered to reconstitute the trust. After that reconstitution, the trustee is expected to resume their primary duty (unless the beneficiary chooses to engage the services of a different trustee). Unlike in contract, the court is not providing reparation for a primary duty that has been obviated. As Lord Millett asserted in ‘Equity’s place in the law of commerce’ for the Law Quarterly Review in 1998, “it is tempting, but wrong, to assume a trustee is… under a primary obligation to perform the trust and a secondary obligation to pay equitable compensation if he does not. The primary obligation of a trustee is to account for his stewardship”. This is why the language of equitable ‘compensation’ is misleading. It incorrectly implies that in the event of a breach of trust, a trustee’s primary duty will come to an end, whereupon they will incur a secondary duty to pay equitable compensation. In reality, when ‘equitable compensation’ is awarded, a defendant is being held to their persisting primary duty. Earlier, I said that a secondary duty will ‘usually’ arise after a contracting party fails in their primary duty. I expressed this reservation because, in some situations, it’d be inappropriate for the defendant to pay compensation for their breach. Sometimes the claimant’s losses are too remote. Sometimes the defendant’s breach didn’t cause the relevant losses at all. When we speak of ‘compensation’, we’re not only implying the existence of a primary and secondary duty. We’re also implying that, in some circumstances, the nexus between a primary and secondary duty might be broken such that the latter might not arise. This is the second difficulty with ‘compensation’ in equity. 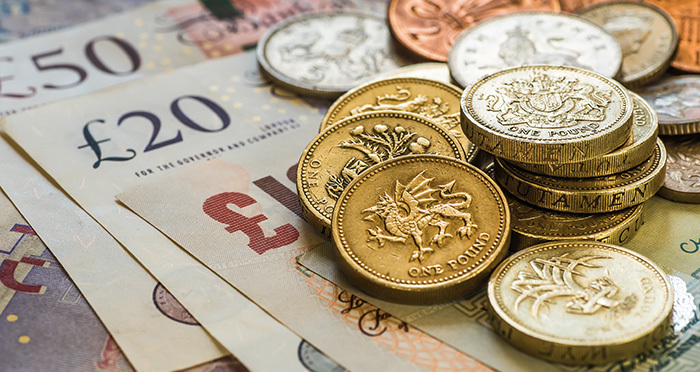 When we speak of ‘equitable compensation’, we risk erroneously implying that, in some circumstances, a defendant should not incur liability for a breach of trust because the claimant’s loss was too remote, or was not caused by the breach. When considering the remedy for breach of trust, not only is there no secondary duty at all, but as Tipping J noted in Bank of New Zealand v New Zealand Guardian Trust Co, “questions of foreseeability and remoteness do not come into [it]”. When you think about it, there’s little sense in considering ‘causation’ and ‘remoteness’ in breach of trust claims. In breach of trust, Bianca pays away Alex’s £100. Alex suffers ‘loss’ because his money is absent from the trust fund. As the breach and loss are so intimately connected, there’s no need to consider whether Bianca’s breach ‘caused’ Alex’s loss. Of course it did. What’s more, it’d be nonsense to suggest that Alex’s ‘loss’ was too remote for him to sue Bianca. So, the phrase ‘equitable compensation’ risks incorrectly implying that a defendant might raise matters of foreseeability and remoteness to avoid liability for breach of trust. As James Edelman, academic and justice of the High Court of Australia, has noted, such an implication is “ahistorical and unprincipled”. In this article, we discussed the characteristically restorative nature of the ‘accounting’ remedy. We saw how, over time, that remedy became known as ‘equitable compensation’. Next, we considered two difficulties with that phrase. First, there is the misleading implication that, in the event of a breach of trust, a secondary duty will oblige a trustee to pay reparative damages for their breach. In fact, no secondary duty ever arises in equity. Second, there is the misleading implication that, in some circumstances, a trustee may escape liability if they can establish that the claimant’s losses were too remote, or were not caused by the breach. In fact, as soon as a breach of trust is established, the trustee incurs a strict obligation to reconstitute the assets that were wrongfully paid away. Before concluding, I acknowledge that all of this sounds rather abstract. One might question whether there’s any evidence that the language of ‘equitable compensation’ has actually threatened the characteristically restorative remedy for breach of trust. Is there, for example, a case where defendants have actually tried to avoid liability by claiming that they did not cause the relevant loss? Well, yes, there is. In Various Claimants v Giambrone & Law, the defendants were a firm of solicitors acting as trustees for English purchasers who hoped to buy holiday villas in southern Italy. The solicitors had authority to release the purchasers’ deposits if, and only if, specific Italian bank guarantees were furnished. Notwithstanding that the requisite guarantees were never provided, the solicitors released the purchasers’ deposits. Afterwards, various complications with construction of the villas meant that, even if the solicitors had not committed a breach of trust by releasing the funds prematurely, the purchasers’ deposits would have been lost forever. The solicitors tried to claim that, even if they’d released the purchasers’ deposits in compliance with the trust instrument, the subsequent complications meant that the money would’ve been lost forever anyway. In other words, the solicitors argued that they didn’t cause the claimants’ losses. The defendants argued this point numerous times, eventually in an application to appeal to the Supreme Court. The Supreme Court rejected the application on 18 December 2017 on grounds that “the application [did] not raise an arguable point of law”. I think that Giambrone is troubling. The very nature of the solicitors’ argument — that they did not ‘cause’ the relevant loss — suggests that the characteristically restorative nature of the remedy for breach of trust is being forgotten. If the ‘accounting’ remedies were still in vogue, the solicitors would’ve had to restore the purchasers deposits as soon as it had been established that the purchasers’ loss (i.e. the emptying of their trust funds) flowed from the solicitors breach of trust. In such circumstances, no sensible defendant would’ve tried to escape liability by claiming that they didn’t cause the claimant’s loss. Giambrone suggests that the language of ‘equitable compensation’ may erroneously and misleadingly imply that, in breach of trust claims, there is a secondary duty which can be avoided by raising questions of causation and remoteness. It is a shame that the Supreme Court did not hear this case. An opportunity to authoritatively restate the restorative character of the remedy for breach of trust has been missed. Jordan Briggs is a second year undergraduate law student at the University of Oxford. He plans to complete a masters before pursuing a career at the bar. How does Target v Redferns  AC 421 affect your analysis (if at all)? I thought this was well-written. But I wonder why should we *want* to re-establish the restorative character of the remedy for (this category of) breaches of trust. The main argument in favour of that characterization that the author mentions is that this was how falsifying the account historically worked. That is true but I dont find it a compelling argument. Are there other reasons in favour of this characterization rather than mere age? I vaguely recall an article or book chapter by Charles Mitchell on this subject (probably around when aib v redler was drifting through the courts) but I cant remember whether he deployed any argument other than the historical one. – The conventional distinction was between (1) common accounts, where a restorative award was used (i.e. enforcement of the trustee’s primary obligation to account for the trust fund); and (2) accounts on the footing of wilful default, where a reparative award, or, in the new lingo, ‘equitable compensation’ was used (i.e. a secondary obligation incurred by the trustee on breach of his primary obligations). – Compensatory analysis (including remoteness, causation etc.) works for the latter, but not the former. It is not correct to say that compensatory analysis has no place in equity; it merely has no application to common accounts. – The real vice of the case law is not merely a ‘linguistic’ change, it is a substantive blurring of these two types of account and the corresponding remedies under the banner of ‘equitable compensation’ (see Target v Redferns; AIB).